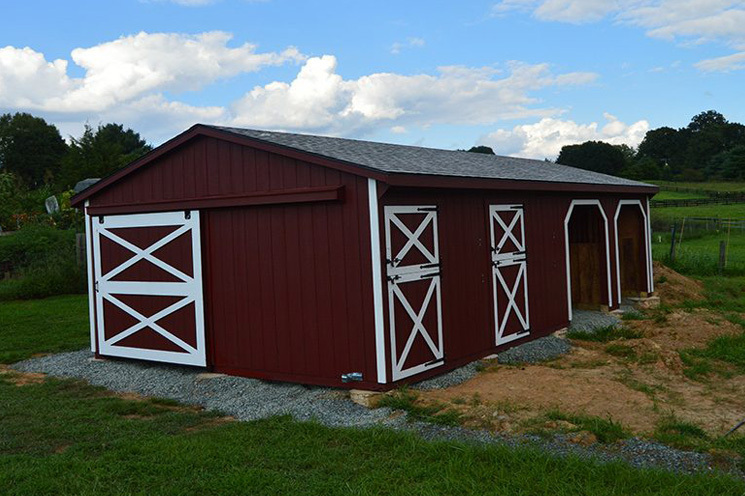 Reliability, functionality, and style – that’s what you need from your new horse barn. If you know how to build a horse barn on a budget, you can have all three at a reasonable price. 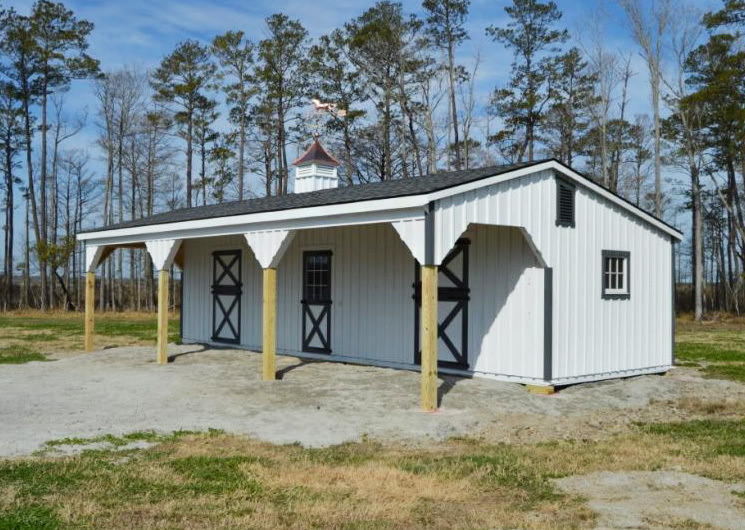 At J&N Structures, we’re expert horse barn builders who specialize in designing and crafting barns of all sizes, available at a variety of price points. 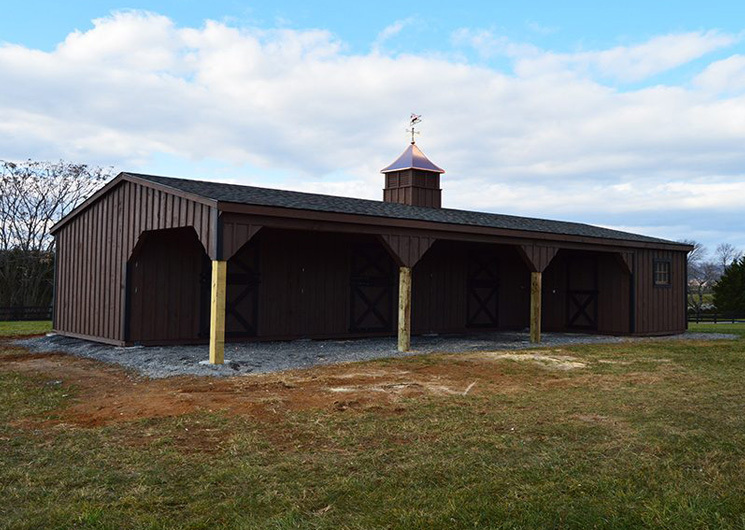 We can help build a horse barn on a budget and show you some fantastic examples of structures we’ve built. 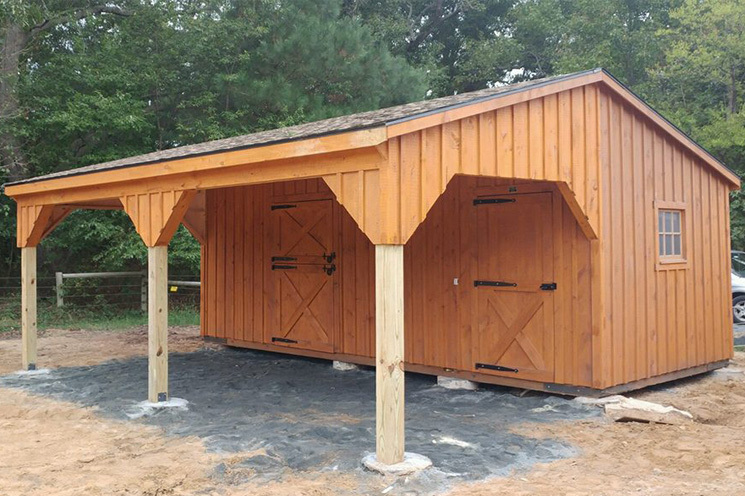 Whether you’re replacing an old barn or starting your horse hobby or business from the ground up, a budget horse barn is a smart choice. Here are the 5 choices to make to get the barn you want that matches a modest budget. The two main construction styles for horse barns are modular and traditional. 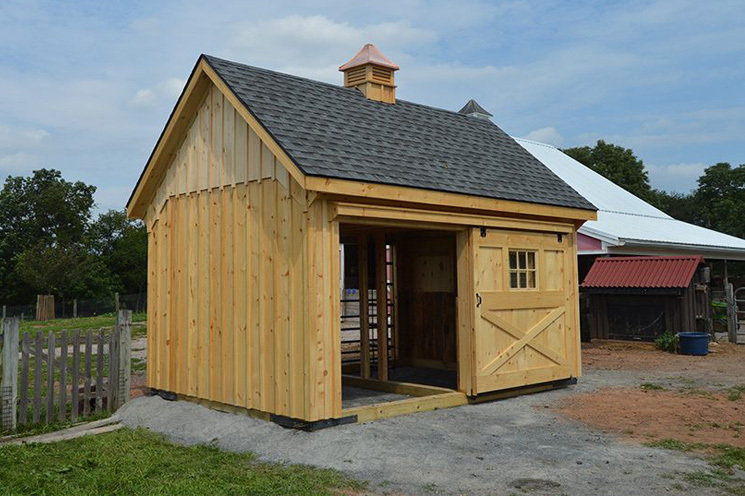 Traditional construction requires building the entire barn at your site. 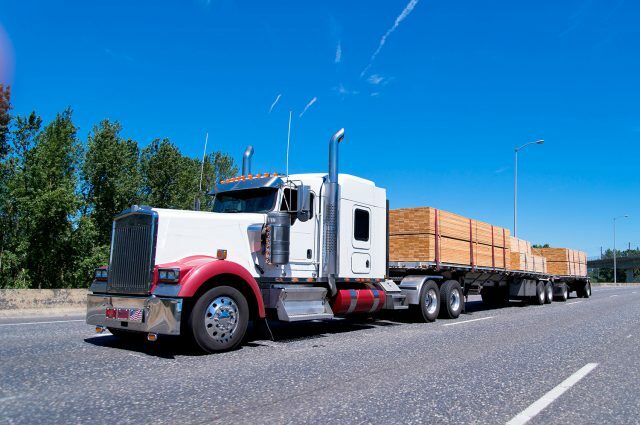 On the other hand, the modular building process involves building the main pieces of the barn in a workshop and then assembling the barn at your site. Not only are modular barns often higher quality than their traditional counterparts, they are far more efficient to build and therefore far less expensive. 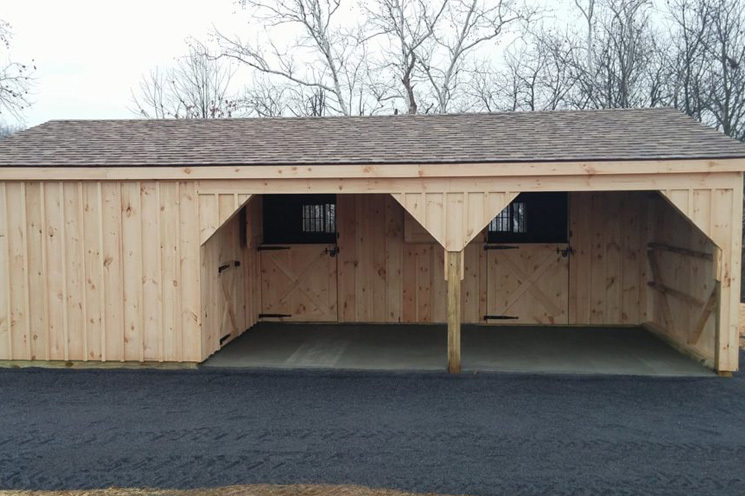 If you want to build a budget horse barn, modular is absolutely your best choice. At J&N, we exclusively build high-quality custom modular barns, providing both savings and superior quality to our customers. 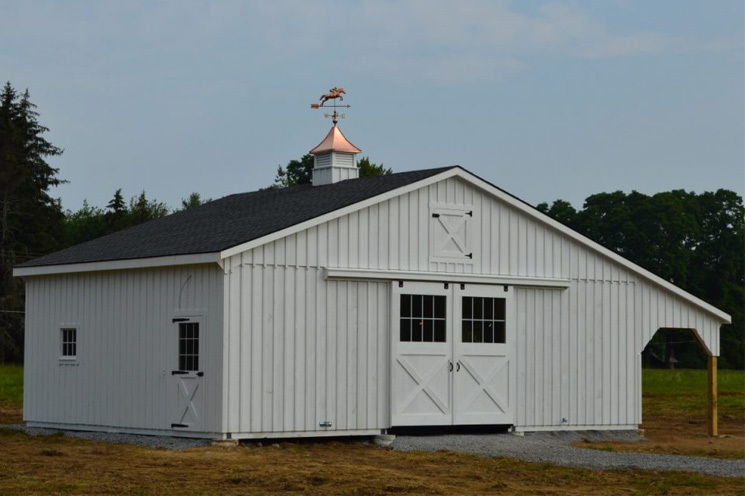 Learn more about modular barns vs. traditional barns. Another way to reduce the price tag on your barn is to opt for only one level during design. Adding a second floor to your horse barn adds both additional material costs and additional labor time – both of which raise the total price on the project. 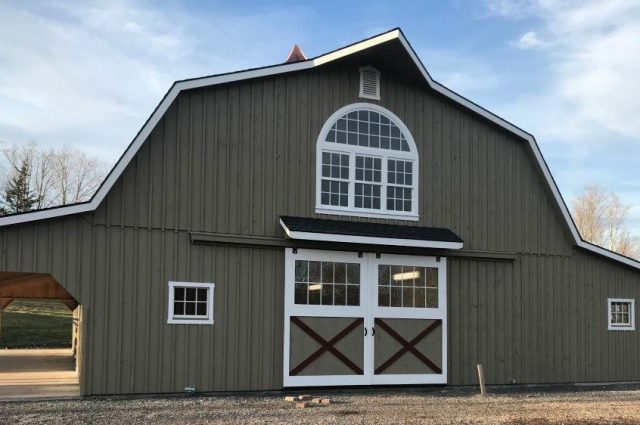 While there are numerous benefits to having a two-story barn, if you want to build a horse barn on a budget, opting for a single-story barn is a smart choice. In order to control the cost of your barn, make sure that you’re only building the number of stalls you’ll absolutely need. If the size of your farm is set, then you can build to match that. 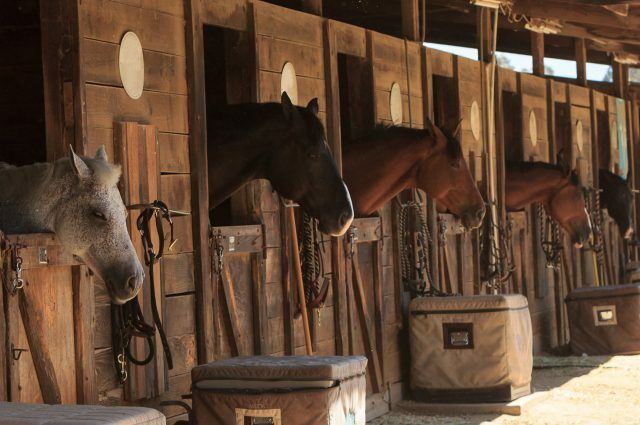 However, if you anticipate growing your farm or boarding additional horses, you may want to build extra space now rather than having to upgrade to a whole new barn in a few years. 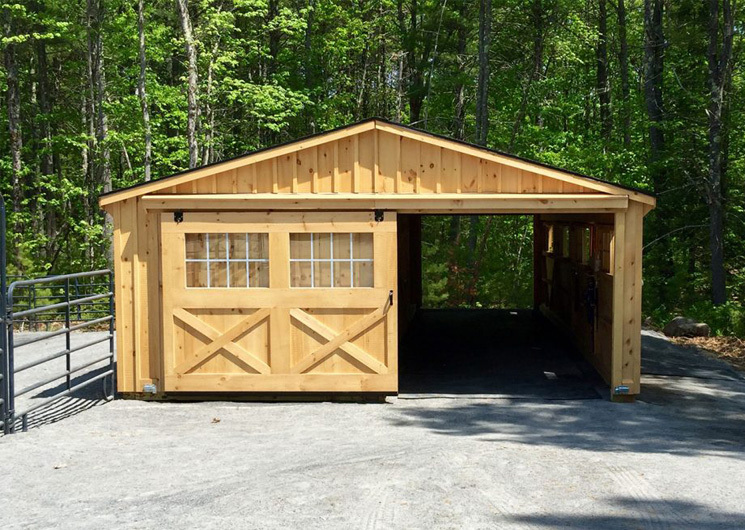 Consider the Shed Row Style – Since building a budget horse barn is your goal, you’re probably only planning on a one-story barn. 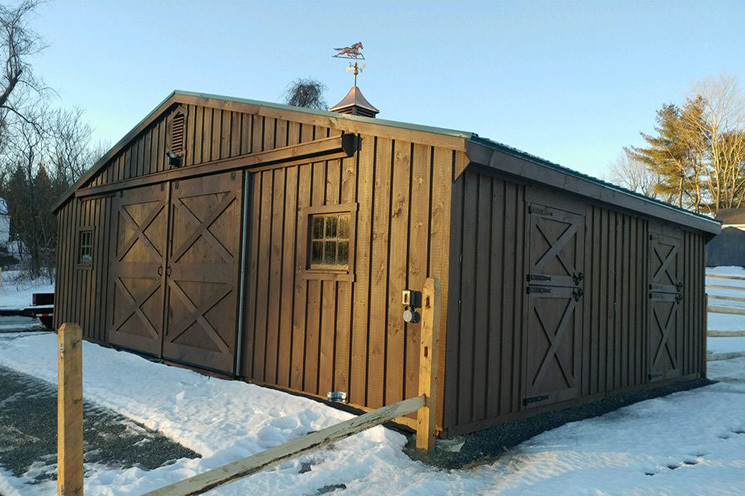 While both center-aisle and shed row barns are popular single-story barn designs, shed row barns will be your most cost-effective option. Since they are built in a simple, stripped-down barn style, they cost less and are easy to work with. Learn more about the advantages of shed row and center aisle barns. Another ingredient to learning how to build a budget horse barn is finding an experienced team to build it. Work with a skilled modular barn builder to ensure your project sticks to your timetable and to your budget. At J&N Structures, we sell our high-quality modular barns through our experienced dealer network. 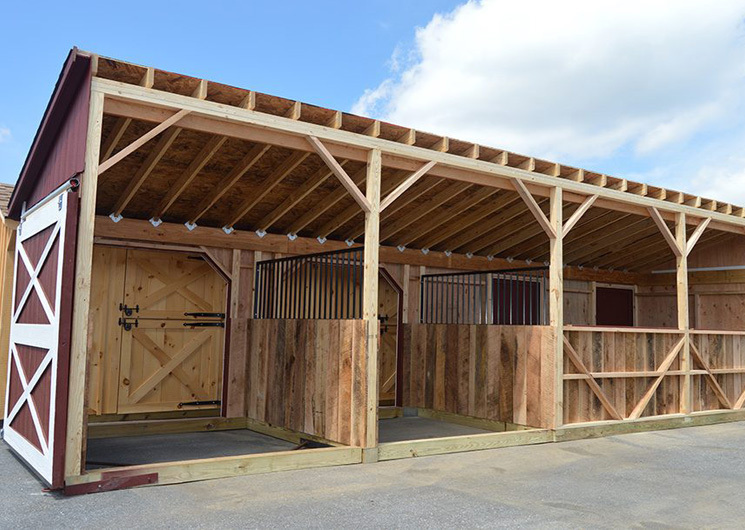 Our dealers and crews have years of experience constructing modular horse barns quickly and correctly. All of these barns were custom-built to fulfill their owners’ needs while matching their budgets. See just how far your horse barn budget goes when you team with J&N. See our full project gallery. If you want more information on how to build your specific horse barn on a budget, or if you want to get a quote for your barn project, start the conversation with your nearest J&N dealer. Simply enter your zip code and be matched with several experienced dealers who are happy to help. Our dealers have years of experience helping customers find horse barns that match their budgets and installing superior quality J&N modular barns – start the conversation today.